T-5 toilet deodorizer manufactured by Monochem has been on the market for over 55 years providing safe, quality odor reduction in recirculating and portable toilets. Available in small 2.25 oz packets that can be used during an emergency or disaster to treat waste in a 5 gallon bucket toilet. Use 1/4th of a packet with a cup or two of water in the bottom of a 5 gallon toilet bucket. Will not harm plastic bags or plastic toilet buckets. 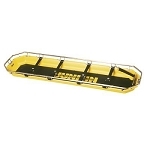 Effectively reduces odors by reducing odor causing bacteria. 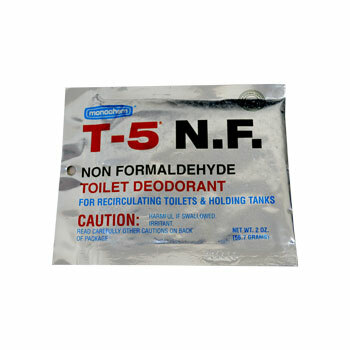 T-5 NF has no formaldehyde.